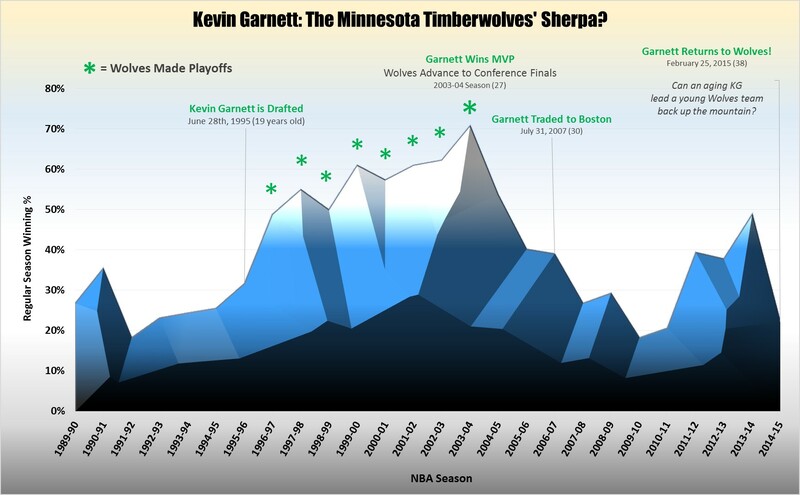 You are at:Home»Arts/Entertainment»Kevin Garnett: Timberwolves’ Sherpa? 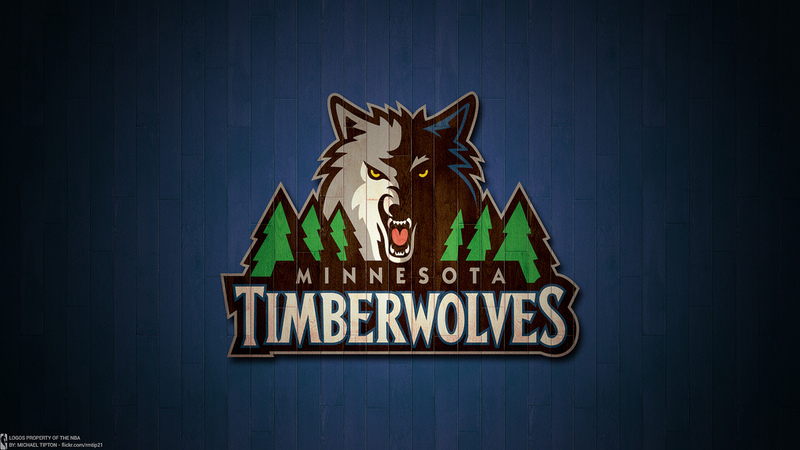 As Minnesota Connected reported last Friday, this Wednesday night, Kevin Garnett will pull a #21 Timberwolves jersey over his distinctive wiry shoulders for the first time in nearly eight years. After what is sure to be a goose bump-inducing player introduction sequence (which will, no doubt, involve Diddy’s “Coming Home”), the house lights will come up and “Da (now 38-year old) Kid” will head to scorer’s table at Target Center to engage in his pregame talcum powder ritual/spectacle. 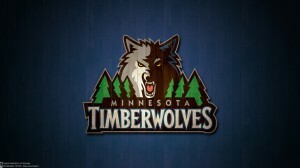 And so will begin the (perhaps multiple season long) swan song of the only truly great Timberwolf. 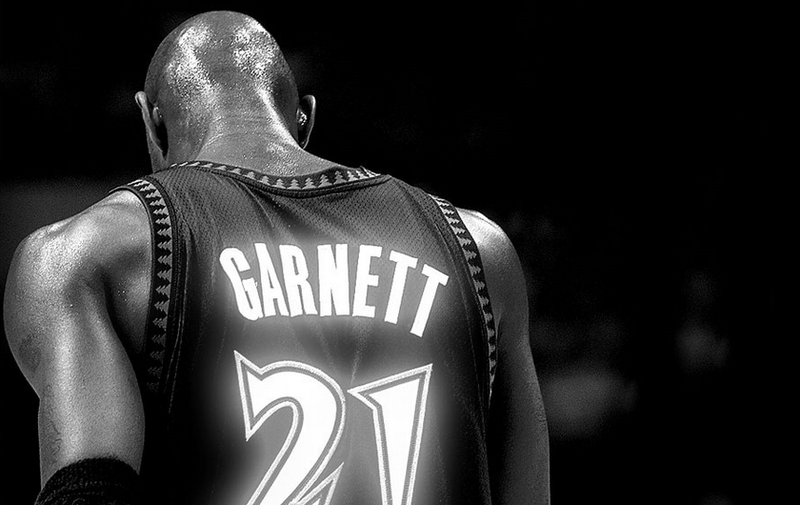 Most folks who even casually follow the Wolves know Garnett is an important part of the team’s history, but a side-by-side comparison of the Wolves’ performance with, and without, KG reveals just how significant his contribution to the organization — and thereby this town — has been. As the numbers clearly show, Kevin Garnett has been an integral part of every single good (non-Dunk Contest) thing the Wolves and their fans have ever experienced. He is (by far) the all-time franchise leader in every major statistical category — points, assists, rebounds, blocks and steals — and with due respect to Kevin Love, Ricky Rubio, Andrew Wiggins, (Pooh Richardson? ), et al., the 7-foot phenom out of Farragut Career Academy has been the closest thing to a real identity this organization has ever had. Of course, as he closes in on 40, KG is no longer able to carry a team with his athletic ability. Can the aging superstar instead equip Rubio, Wiggins, LaVine, and the rest of the young Minnesota roster with the mental edge they need to climb back toward the top? Can he use the wisdom he’s gained during his 19 years in the NBA to mentor Flip’s floundering team, inspiring them to new heights? The expedition — should it flourish or fail — begins on Wednesday night.